France's Christofle are renowned for their gorgeous silverware – that’s been the way since the company was first founded by former jeweller, Charles Christofle in 1830. Little else approaches their luxury and elegance, and their revolutionary styles, techniques and methods for the production of the most beautiful pieces of silver and silver plate you will ever see. Since its beginnings, Christofle's luxe cutlery has graced the tables of many of the most famous figures in history, including Napoleon the Third. Passengers on the Orient Express and Trans-Siberian Railway eat with Christofle cutlery as they recline in posh surrounds. Nowadays, Christofle still make beautiful cutlery. And they also make a huge selection of other silverware – beautiful, modern pieces that are destined to fit seamlessly into your life, adding a little bit of French luxury to every day, making you feel just a little bit chic and stylish as well. 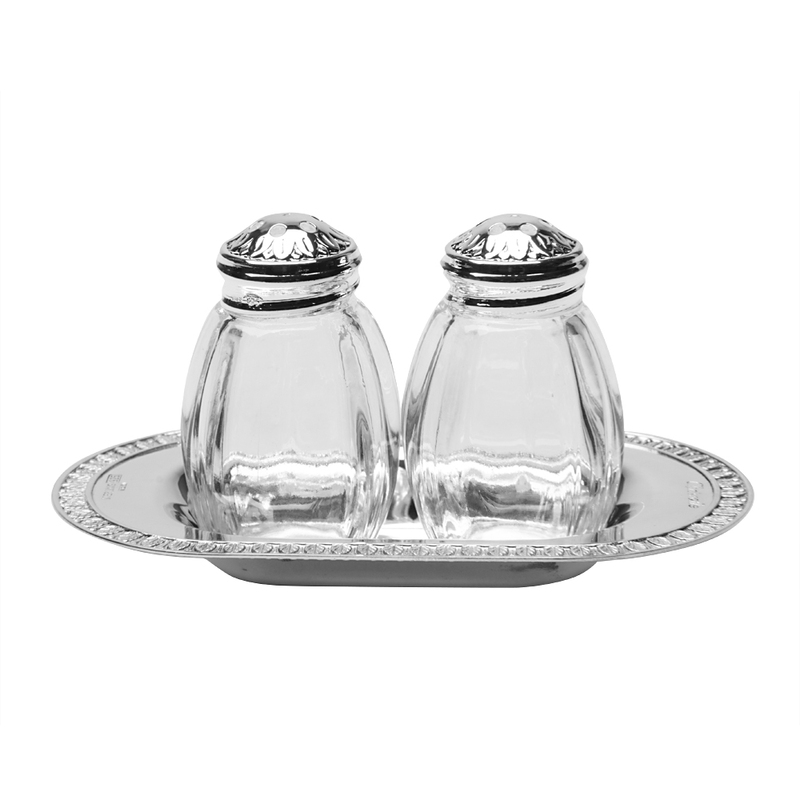 Etched with tiny palm and lotus leaves, the Beauharnais and Malmaison Salt and Pepper Shakers With Tray are a beautiful gift. The miniature size of each piece is ideal as an accompaniment to dinner for one or two people, and the classic rippled silhouette of the dispensers is matched by the detailed frieze of the tray. For the ultimate in silverware, look no further than the beauty of Christofle. Includes miniature salt and pepper shakers and miniature tray. To keep clean, polish with a silver cloth. 2 x Salt and Pepper Shakers – 4cm high. Tray – 9 x 5cm.